3 dimensional sensor technology used. 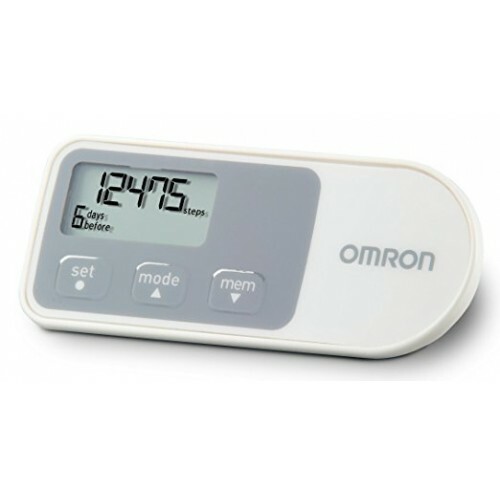 Displays number of steps, distance and calories burned with 7 days history storage. 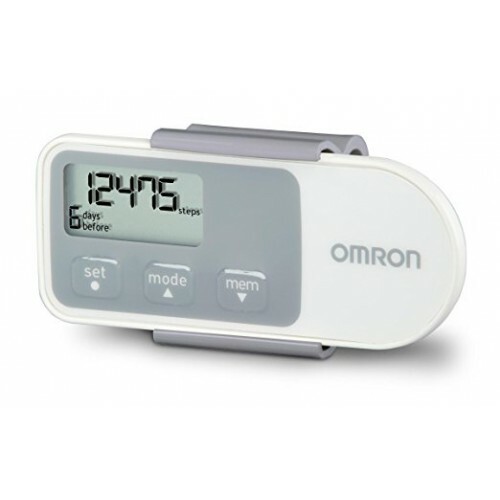 Contains: Step counter, holder, battery (CR2032 installed). Lithium ion battery with approximately 6 months life. 1 year brand warranty from date of purchase. 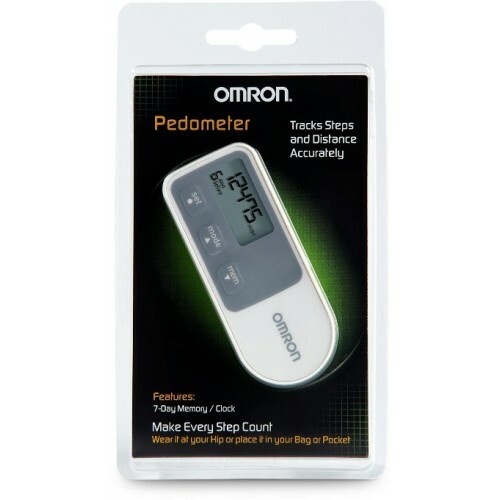 Omron Pedometer is a smart device which monitors every movement. 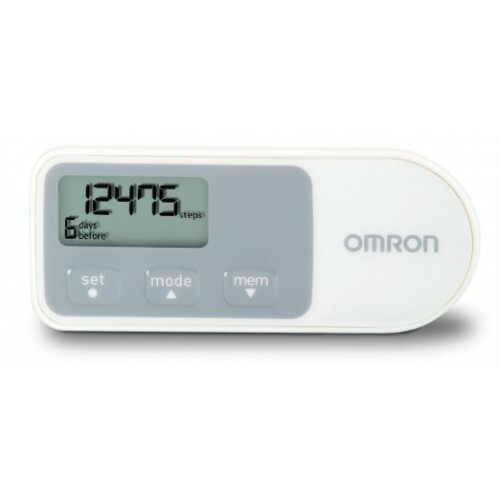 The health device comes with Tri-Axis technology which detects movement vertically, horizontally and laterally. 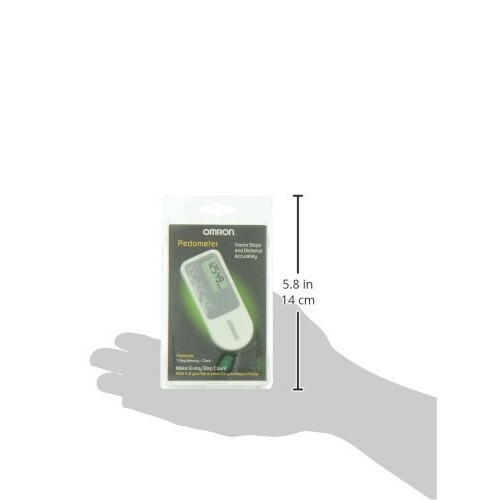 It can be kept in pocket or bag while walking/running. 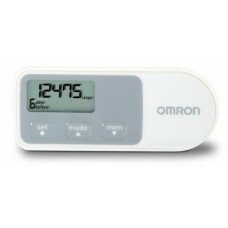 It has 24-hour digital clock and LCD screen. Tracks distance covered and steps taken. Automatic reset each day with 7-days information backup.